Traumatic brain injury (TBI) occurs when an external mechanical force causes brain dysfunction. 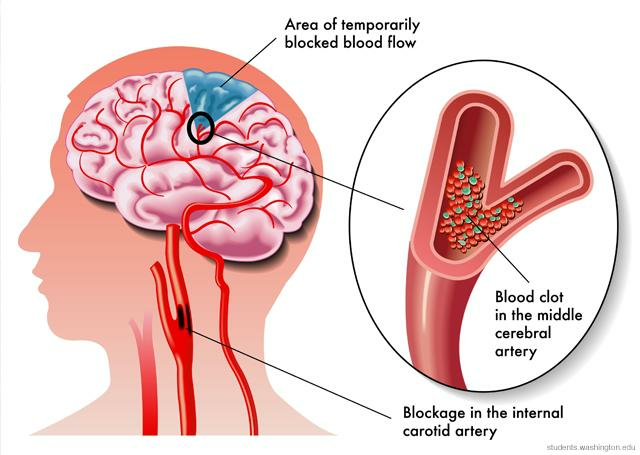 TBI usually results from a violent blow or jolt to the head or body. An object penetrating the skull, such as a bullet or shattered piece of skull, can also cause TBI. Mild TBI may cause temporary dysfunction of brain cells. More serious TBI can result in bruising, torn tissues, bleeding and other physical damage to the brain that can result in long-term complications or death. Studies have shown Cannabis helps limit brain damage and improves recovery when administered shortly after the traumatic blow. In a TBI, the blow to the head causes damage to the brain cells. The damage can be isolated to the point of impact or can be more widespread if the impact causes the brain to move back and forth within the skull. In addition, bleeding in the brain, or swelling, can cause greater damage to brain cells. According to the Mayo Clinic, additional complications can arise from TBI’s, including altered consciousness (coma, vegetative state, locked-in syndrome, brain death, etc), seizures, fluid build-up, blood vessel damage, nerve damage, intellectual, communication, sensory and behavioural problems. “Cannabinoids of all classes have the ability to protect neurons from a variety of insults that are believed to underlie delayed neuronal death after traumatic brain injury (TBI), including excitotoxicity, calcium influx, free radical formation and neuroinflammation. The pathways and experimental models supporting a neuroprotective role for the various classes of cannabinoids are critically reviewed vis a vis their potential to support the development of a clinically viable neuroprotective agent for human TBI”. This flow chart outlines the pathway of secondary damage from brain injury and the modulation of the resulting outcome via endocannabinoids. Negative signs correspond to a decrease in the respective effect, whereas positive signs correspond to an increase. Cannabis’ two major cannabinoids, tetrahydrocannabinol (THC) and cannabidiol (CBD) are responsible for the beneficial effects following TBI’s. Cannabinoids have been shown to act on the CB1 and CB2 receptors of the Endocannabinoid System (ECS), which in turn prevents release of pro-inflammatory cytokines, released after brain drama, which cause damage. 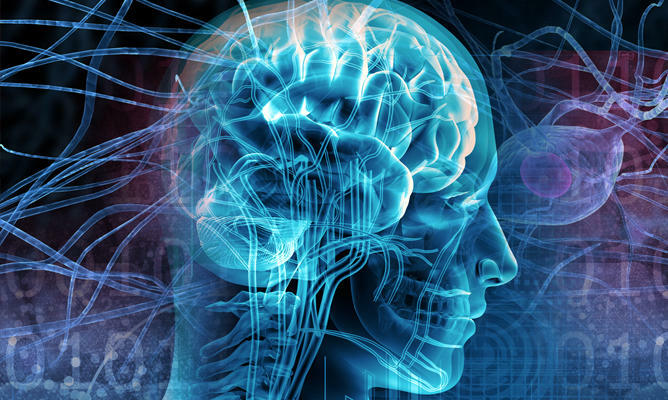 Activating of the CB1 and CB2 receptors has been shown to stimulate the release of minocycline, which reduces brain swelling and neurological impairment and diffuses further injuries to the brain’s axons. In one study, a cannabinoid administered to mice with brain injuries caused a significant reduction of brain swelling, as well as better clinical recovery, reduced infarct (small localised area of dead tissue resulting from failure of blood supply) volume and reduced brain cell death compared to a control group. In another, CBD was found to reduce acute and apoptotic brain damage. Piglets with brain injuries given CBD led researchers to note, “exerts robust neuroprotective effects … modulating excitotoxicity, oxidative stress and inflammation”, and the piglets indeed experienced less excitotoxicity, oxidative stress and inflammation. Mice that suffered an impact brain injury showed marked recovery in object recognition and performing a specific task after CB1 receptors were activated. Cannabinoids have even shown to be effective at offering neuroprotection in newborn babies that have experienced a brain injury. One study found patients that had detectable levels of THC in their bodies were less likely to die as a result of a TBI than those who didn’t. While effective therapies to treat ongoing TBI symptoms have been difficult to come by, thanks to researchers like Professor Yosef Sarne of Tel Aviv University, we’ve discovered Cannabis may prevent long-term brain damage by administering THC before or shortly after injury. Sarne and his team published their results in 2013, demonstrating that administering just a fraction of the amount of THC that would be found in a typical Cannabis joint anywhere from one to seven days prior to, or one to three days after an injury, induces the biochemical processes necessary to protect critical brain cells while preserving long-term cognitive function. “My father suffered severe TBI for years. He used to sit around hating his life all day. Once he started using marijuana*, he changed a lot. He was able to get off some of his med’s, start eating more, go outside, enjoy music, laugh at a movie, sleep at night, less anxiety in the day, less body pain. The list goes on and on”. We hear many success stories like this, but these are, of course, anecdotal and according to ‘mainstream’, count for little. Thus far, there aren’t any notable clinical trials demonstrating the efficacy of Cannabis to treat ongoing symptoms in TBI patients. The UCLA Medical Center released a study, Effect of Marijuana Use on Outcomes in Traumatic Brain Injury in 2014. The three-year retrospective review of 446 separate cases of similarly injured patients highlighted to researchers that TBI patients who had a history of Cannabis consumption possessed increased survival rates compared to non-consumers (97.6% survived surgery, versus 88.5% of those who didn’t consume Cannabis). “Our data suggest an important link between the presence of a positive THC screen and improved survival after TBI” the researchers concluded. “With continued research, more information will be uncovered regarding the therapeutic potential of THC and further therapeutic interventions may be established”. In the meantime, as we continue to learn more about THC and other cannabinoids to treat TBI, many physicians believe CBD can be a safe and effective treatment. CBD, a largely non-psychoactive cannabinoid that possesses neuroprotective, anti-inflammatory and anti-anxiety properties, could be as close to a ‘magic bullet’ as we have right now. In fact, CBD may be more beneficial than THC. Japanese researchers found CBD exhibited stronger antioxidative power than THC without creating tolerance to its neuroprotective effect. And a search via Google Scholar returns over 3,300 results for ‘Cannabis’ Effect on Traumatic Brain Injuries‘, date limited to 2016. While clearly there’s lots of promise in the limited research to date and anecdotal reports, we need to continue developing our understanding of cannabinoid neurobiology in order to most effectively exploit the numerous therapeutic properties of Cannabis. We can then, hopefully, unleash the full spectrum of potential benefits Cannabis may be able to provide and discover innovative new treatments that could quite possibly help the millions of people who continue to suffer.